What’s better than a gift from your sweetheart? 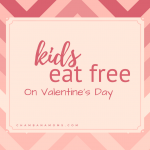 Kids eating for FREE on Valentine’s Day. Sponsored by Lodgic Everyday Community. What’s better than a gift from your sweetheart? 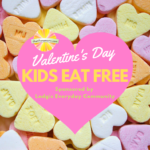 Kids eating for FREE on Valentine’s Day.